William W. Walls, Jr., 78, a resident of Ridley Park, Pennsylvania, passed away on January 31, 2011 at Ridley Memorial Hospital in Media. He served in the U.S. Air Force, then graduated from Swarthmore College with a B.S. degree in Mechanical Engineering in 1959. He joined Boeing the same year. At Boeing, he held positions as Director of Technology, Research and Development, Vice President for the LHX Comanche Program, and in 1992 he became Vice President of Research and Engineering. He was appointed Vice President of the Boeing Company’s Helicopter Division in Philadelphia in 1988 and retired in March 1996. Mr. Walls was a longtime member of AHS International and served as President and Chairman of the organization’s Board. 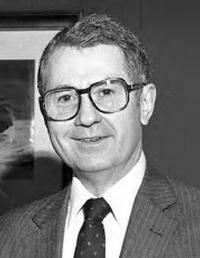 In 1991, he received from the Society the AHS Honorary Fellow Award for outstanding achievement, and in 1997 he received the Society’s highest honor, the Alexander A. Klemin Award, for “advancement of the rotorcraft industry through ground breaking research and devotion to education.” Mr. Walls held consultant positions with NATO, NASA, the National Research Council, Rensselear Polytechnic Institute Board of Advisors, and the Pennsylvania State University Aerospace Engineering Industrial Professional Advisory Council.